Have a question about the TR Site? Here, you'll find answers to those we are asked most often. If you have a question that's not reflected here, please just give us a call at (716) 884-0095. We'll be happy to assist you. Where is the TR Site located? The Theodore Roosevelt Inaugural Site is located at 641 Delaware Avenue, Buffalo, NY 14202 (between North and Allen Streets). When is the TR Site open? The Theodore Roosevelt Inaugural Site is open the entire year. The Visitor Center/museum shop is open 9 a.m. to 5 p.m. on weekdays; noon to 5 p.m. on weekends. We are closed on New Year's Eve, New Year's Day, Easter Sunday, Memorial Day, Independence Day, Labor Day, Thanksgiving, Christmas Eve, and Christmas Day. Visits to the TR Site are by guided tour only. Tours are scheduled hourly, beginning at 9:30 a.m. weekdays and 12:30 p.m. weekends. Our last tour starts at 3:30 p.m. Visits to the Theodore Roosevelt Inaugural Site are by guided tour only. Tours are scheduled hourly, beginning at 9:30 a.m. weekdays and 12:30 p.m. weekends. Our last tour starts at 3:30 p.m. The Visitor Center/museum shop is open 9 a.m. to 5 p.m. on weekdays; noon to 5 p.m. on weekends. Free off-street parking is available behind the TR Site and is accessible from Delaware Avenue or Franklin Street. Franklin Street is one-way northbound and cannot be accessed from North Street. On-street, metered parking is also available on Delaware Avenue. Traffic tends to be moderate for a downtown area, except during weekday morning and afternoon rush hours, when it becomes heavy for brief periods. Several downtown streets are one-way, so be careful before you turn. Cars can use free off-street parking available behind the Site. Cars may enter the lot from Delaware Avenue, where the lot entrance is located next to the TR Site's lawn space. (A Bank of America ATM is also located in the same driveway.) You may also enter from Franklin Street, which is one-way northbound. (Franklin Street can not be accessed from North Street.) On-street meter parking is also available on Delaware Avenue. Buses can enter the parking lot at 550 Franklin Street. From here, passengers can de-bus close to the Site and on level ground, with no steps to enter the Site. Buses SHOULD NOT enter from the Delaware Avenue ramp due to narrow lanes. The Theodore Roosevelt Inaugural Site accepts the America the Beautiful pass for general admission under standard entry policies (does not apply to special event fees or group fees). Valid Golden Age passes and Golden Access passes are also honored. 1) At our Visitor Center upon your arrival. Does the TR Site accept national parks passes? Yes. 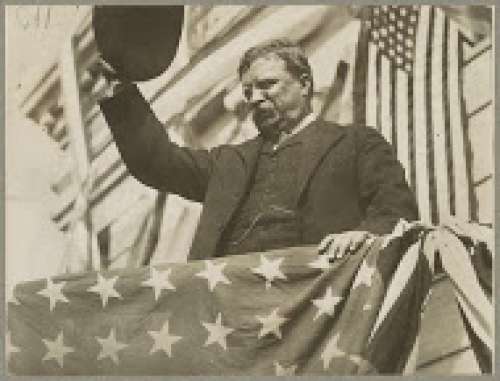 The Theodore Roosevelt Inaugural Site accepts the America the Beautiful pass for general admission under standard entry policies (does not apply to special event fees or group fees). Valid Golden Age passes and Golden Access passes are also honored. For more information about the National Parks and Federal Recreation Lands Passes, click here. Please note that NPS Passes apply toward general admission and the museum tour only, and do not cover admission to events. Please note that the Theodore Roosevelt Inaugural Site does not sell or provide National Parks and Federal Recreation Lands Passes. Is the TR Site handicapped accessible? Yes. No stairs are necessary to tour the museum. An elevator is available to provide access to the upper floor. The tour requires moderate indoor walking, with periodic seating opportunities for limited numbers. Tour areas are accessible to ADA-standard wheelchairs. When entering the buidling...There is an accessible entrance (no stairs) available to the rear (Franklin Street) side of the museum. There are three stairs if you approach from the front (Delaware Ave.) entrance. If at all possible, it is recommended that persons with mobility-related disabilities be transported in a smaller vehicle that can access the parking lot, and enter from the rear. Remember that a full-sized bus cannot safely make the turn into the lot, so all buses will need to drop off on the street. The museum is set back from both Delaware Avenue and Franklin Street, so a walk of several feet will be necessary if being dropped off at the street by a bus. The distance from Delaware Avenue is approximately 100 feet, partially over loose gravel. The distance from Franklin Street is approximately 180 feet over paved surfaces. Of course, you're free to spend as much time as you'd like with us. The guided tour of the TR Site takes approximately 1 hour.